eferred to as the “land of one thousand lakes”, the Hubei Province is as much endowed with natural beauty as it is with natural resources. With an ancient history of prosperity and wealth, the Province is a treasure-trove of beautiful natural landscapes and artistic manmade relics. The Province is also considered the “pharmacist” of China because many herbs, plants, and trees used in traditional Chinese medicine grow in the forests. With plenty of mountains, rivers, lakes, gorges, etc. Hubei is a well-liked tourist destination. The Tongbai, Qin, and Dabie mountain ranges dominate the northern regions of Hubei Province. The Mufu Mountain range in the southeast forms a border with Jiangxi Province. The massive Wuling Mountains form the border on the southwest between Hubei and Hunan. The westernmost districts are blessed with the Daba and Fangdou Mountain ranges that separate Hubei Province from Chongqing. The mighty Yangtze River cuts through the southern districts of Hubei Province, uninterrupted till it reaches Hunan Province. 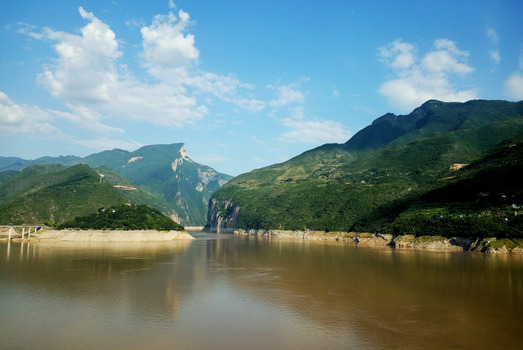 As it flows southwards, the Yangtze leaves behind one of the richest alluvial plains in China. These plains are dotted with thousands of small lakes that add to the beauty of the region. The mountain ranges in Hubei are not too high and have an average elevation of 1,800 meters above sea level. Yet, they have some of the densest primeval forests, water bodies, beautiful rocks and landforms, and abundant fauna. There are extremely tall and old trees like pines, yellow sandalwood, bamboo, cedars, maples, and poplars. There is a wonderful aroma in the forests because camphor trees also grow in abundance. There is a large presence of wild pigs and barking deer in these forests. The lakes attract many birds like pheasants, ducks, swans, etc. Hubei Province has mixed climatic conditions. It has hot summers at about 29oC with heavy rainfall in the western districts. The rain reduces as the monsoon clouds move eastwards across the Yangtze River basin. On the other hand, the winters are more akin to subtropical climates. The temperatures range between 4 and 6oC with occasional frost. Apart from the months of January, February, and July, the rest of the year is relatively pleasant and suitable for sightseeing. Hubei Province has a population of more than 57 million concentrated in the cities and larger towns. Most of the people are Han Chinese with only a few ethnic minority groups like the Hui, Mongols, Tujia, and Manchu. 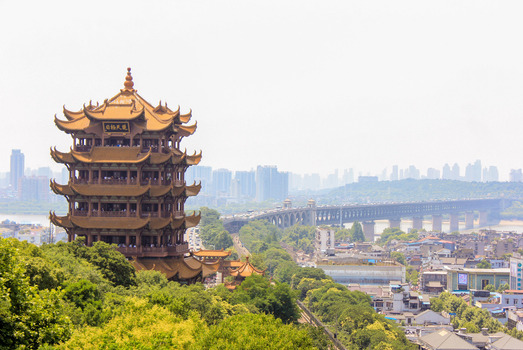 Wuhan, the provincial capital is a modern city with a well-defined infrastructure and a healthy tourist-friendly culture. 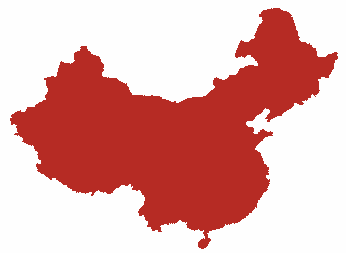 Other major cities and towns include Huangshi, Shiyan, Yichang, Xiangyang, Ezhou, Jingzhou, Huanggang, Suizhou, Enshui, etc. With a rich resource of sturgeon, paddlefish, water caltrop, lotus seeds, lotus roots, waterfowl, and pearls; a large part of the population is involved in aquatic farming. The Province is a leader in the production and exports of the fishery and allied products resulting in the development of many large cities. The mountains in Hubei Province are a rich source of iron, rock salt, phosphorus, copper, bituminous coal, and gypsum. Mining, refining, transportation, and other allied industries have sprung up in the region resulting in economic prosperity and urbanization. Other large-scale industries include iron and steel works, automotive manufacturing units, chemicals, fertilizers, shipbuilding, etc. Hubei Province had organized human settlements since the Neolithic period. Excavations near the towns of Qujialing and Ji’nan are clear evidence of the long and magnificent history of the region. The town of Ji’nan was the capital city of 20 monarchs during the Spring and Autumn period and the Warring States period. The city of Chu, which was the capital during these periods, was a politically, culturally, and economically evolved society. Archaeological discoveries in the Hubei Province have also shown that the people of the region loved art and were very talented. This trend has continued through the ages resulting in a booming handicrafts industry. 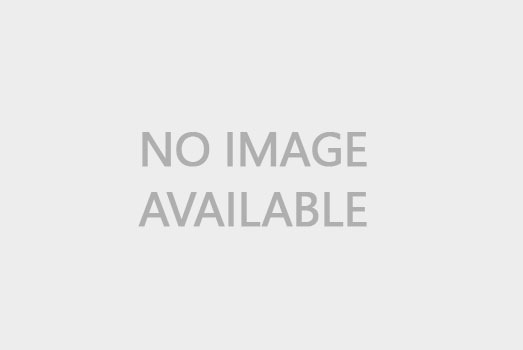 The aroma-therapy oils, floral perfumes, black tea, brick tea, handcrafted lacquer items, jade carvings, bamboo items, satin, pottery, and straw items are some popular products. There is a pleasant mix of modern pursuits and traditional culture in Hubei Province. The people are highly educated and there are countless schools, colleges, universities, and libraries in the region. They love sports and there are many stadia, sports clubs, and swimming pools. Simultaneously, there is a rich culture of fine art. The ancient Chu Opera is a popular art form, especially in urban areas. The smaller towns and villages have their own form of entertainment. The ancient art of story-telling and acrobatics are not just hobbies but well-honed professions. 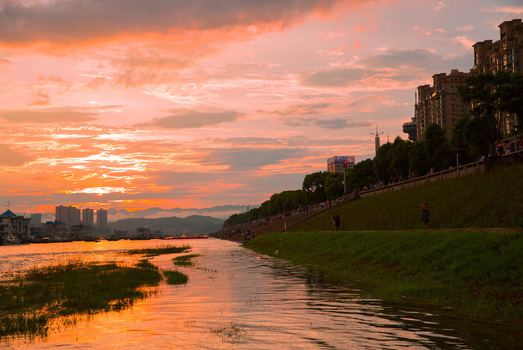 Being one of the most visited tourist destinations of China, Hubei Province has a superb network of air terminals, railway lines, expressways, and waterways to reach all the major attractions. The Wuhan Tianhe International Airport has 55 domestic and 23 International routes. The Sanxia Airport (Three Gorges Airport) is a large feeder airport that has connections to most of the other provincial capitals of China. The Three Gorges Dam on the Yangtze River has vastly improved the waterway system of the Hubei Province. In the past, only the small craft could pass along the river. But with the construction of the dam, even larger cargo vessels and passenger liners can travel right up to the city of Yichang and even Chongqing. River cruises are very popular with tourists and there is a choice of short (3-4 days) and long cruises (10-15 days) that stop to visit most of the ancient tourist sites on the banks of the river. 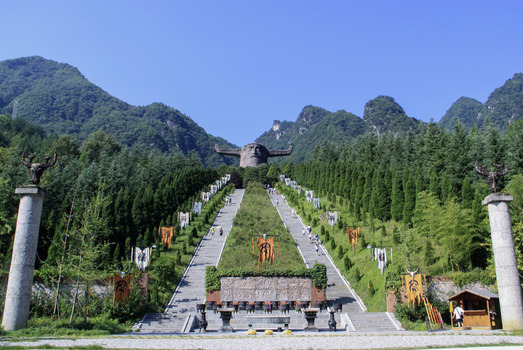 Another popular tourist activity is a visit to the Shennongjia Nature Park on the Daba Mountains. 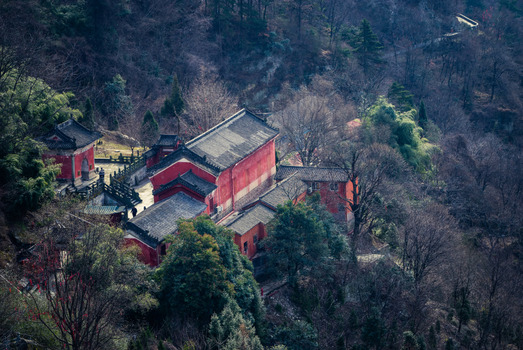 Mount Wudang Scenic Area is a UNESCO World Heritage Site and abounds in natural and manmade wonders. 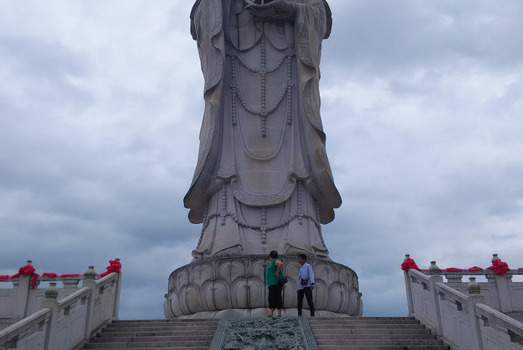 Other places worth seeing are the Dong Lake, Huanghelou (Yellow Crane Tower), Five Dragon Temple (Taoist shrine and origin of Taiji martial art), etc. The ancient culture of fishing and rice farming has continued in the fertile basin of the Yangtze River. Even today, fish and rice are the staple food of the people in the Hubei Province. The ingredients are usually braised or steamed, while stir-frying and deep-frying techniques are used only occasionally. Dried hot peppers (red chilies), black pepper and other spices are used often in their cuisine. Some of the popular dishes include three-delicacy dried bean curd sheet, hot dry noodles, fish cakes, Mianyang three steamed foods, etc.